Today is National Ice Cream Day (or so I've heard). 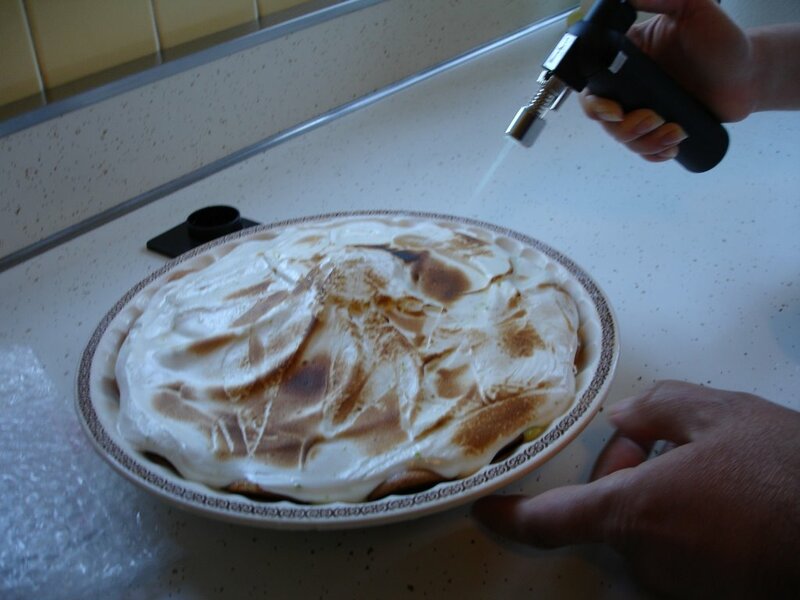 In honor of it, I decided it was the perfect day to try out the Lemon Meringue Baked Alaska Recipe that I'd been eyeballing ever since I saw it in the Cooking Light 2006 cookbook, but since we only have limes in the house, it seemed only logical to make Lime Meringue Baked Alaska instead. Line bottom and sides of a 9-inch deep-dish pie plate with wafers. Place ice cream and sorbet in a bowl; beat with a mixer at medium speed until smooth. Spoon mixture into prepared pie plate and place in freezer. Place egg whites in large bowl and beat with a standing mixer at high speed until foamy. Combine sugar and water in a small saucepan and bring to a boil. Cook, without stirring, until it registers 238 degrees Fahrenheit on a candy thermometer. Pour hot sugar syrup over egg whites in a thin stream, beating at medium speed (this is why you want a standing mixer). Increase speed to high and beat until stiff peaks form. Fold in lime rind. 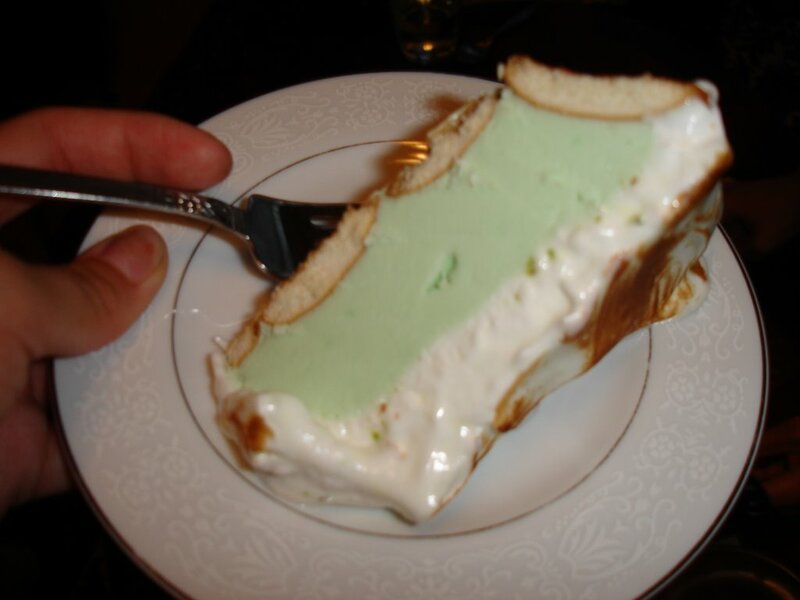 Remove ice cream from freezer and spread over ice cream Loosely cover and freeze 4 hours or until firm.